On June 11, 2017 at 6:20 a.m., Galloway Township Police responded to a motor vehicle accident on Aloe Street. According to Police, a 2005 Chevrolet Malibu, being operated by Ronnell T. Moore Jr. 21 of Pleasantville, was traveling westbound on Aloe Street, in the area of Bremen Avenue. For an unknown reason, Moore’s vehicle left the roadway, crossed over to the eastbound lane and sideswiped a utility pole. Ronnell’s vehicle then swerved back towards the westbound lane. A 2016 Chevrolet Cruz, being operated by Michael A. Donati, 48 of Mays Landing was traveling eastbound, swerved to avoid Ronnell’s vehicle, crossing over into the westbound lane. 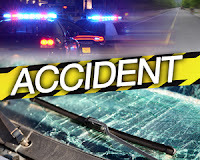 Both vehicles collided on the westbound shoulder of Aloe St. Ronnell was pronounced deceased on scene. Ronnell was wearing his seatbelt at the time of the accident. 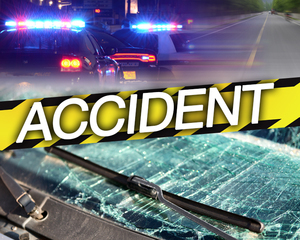 The accident is being investigated by Patrolman Ron Gorneau of the Galloway Township Traffic Safety Unit. Anyone with information regarding this accident is encouraged to contact Patrolman Gorneau at 609-652-3705 Ext. 5095.